What factors contribute to athletic success? 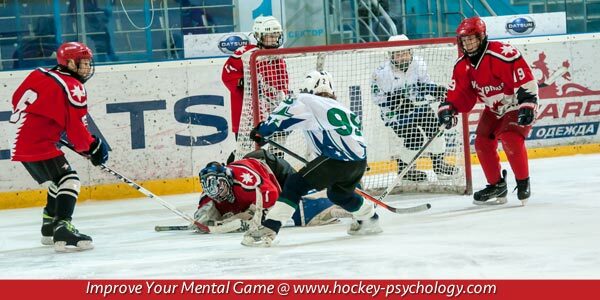 Is mental toughness critical to achieve and succeed in hockey? 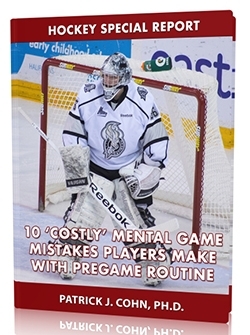 Success in hockey requires a blend of both mental and physical skills. Mental toughness is the one mental characteristic that can provide a significant advantage for an athlete. Mental toughness can often make up for differences in athletic abilities and talents. Mental toughness is the unique skill that hockey players and teams overcome mistakes, setbacks and adversity. Mental toughness is the ability to grind out a victory despite the odds. In essence, mental toughness is the difference-maker in competitive sports. At the Sochi Olympic Games, the Finnish men’s hockey team was a model of grit and determination. Finland’s mental toughness would be tested as they faced off against the overwhelming favorites, the US team, for the bronze medal. The US team entered the Games as a potential gold medal favorite, but the Finnish team’s refusal to concede propelled Team Finland to victory. Not only did Team Finland win the bronze medal, they routed the US hockey team, 5-0. Challenges are inherent in hockey. All hockey players face adversity such as injuries, setbacks and other stressors that can interfere with optimal performance. Mental toughness pushes hockey players through barriers instead of leaving the sport altogether. Even training requires a high level of mental toughness in order to push an athlete beyond their current level of comfort. Mental toughness allows an athlete to take full advantage of their assets, strengths and abilities. Top hockey players have a high, unwavering level of self-belief. You must have a high level of confidence in your unique qualities and your ability to achieve your goals. See The Confident Athlete to boost your confidence for hockey. Great athletes are highly motivated. Motivation to succeed will help you bounce back from setbacks with increased determination. You can’t teach motivation, you can only foster it. 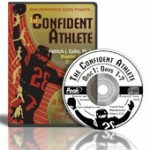 Boost your confidence in hockey today with The Confident Athlete workbook and CD program!